Freelancer. Success addict. Deadline freak. Budget booster. Confidante. Home » News» Freelancer. Success addict. Deadline freak. Budget booster. Confidante. I’m that person who drives back home to make sure the oven wasn’t left on. I turned an interior closet in my house into a tornado shelter. And, I have a pretty annoying habit of editing everything I read (junk mail, blogs, signs, etc.) for grammar, spelling and punctuation. I’m also the type of person who would much prefer a happy hour meeting over that of one in a coffee shop. I tend to attract random strangers seeking a person to hear their woes. I look at life a little unconventionally. And, I never take myself too seriously. Many folks told me that when I started to do some freelance consulting that I should create a company name that wasn’t my actual name. “Sound like an official company,” they’d say! But, to me, that seems a little phony. And, I’m a firm believer that there’s a deep connection between authenticity and integrity. I don’t know about you, but I’d prefer to simply be myself. I’ve worked my tail off in the communications field for more than a decade (see it here). I can’t say that I’ve ever had a job where my schedule wasn’t jam-packed or that my email wasn’t constantly pinging away. But, hey, that’s the life of a PR professional. I got started working in politics after graduating from college. I ran a state senatorial campaign that taught me a lot about integrity, public trust, social change – and the lack thereof. It also showed me the value of connecting with the community, the need to be creatively resourceful and the influence of legislative action. It was a powerful experience. Later, I took over the public relations for a Cleveland-area amusement park, which proved to be more of an incredibly fun lifestyle than an actual job. It was a “trial by fire” kind of situation where I quickly developed an understanding of crisis communication. It’s also where I fell in love with roller coasters – a love affair I maintain to this day. I bounced around to a PR agency where I honed my chops in the basic skills needed to be a PR pro, while getting exposure to a variety of industries and businesses. Then, I found myself again in the entertainment industry. This time, however, I worked for an indoor waterpark resort (which are mainstays of the Midwest). It was there that I gained intimate knowledge of online marketing, advertising and what it takes to operate a small business. 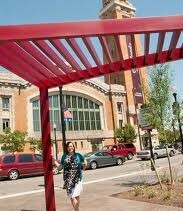 Most recently, I was the Director of Communications for the convention and visitors bureau of Greater Cleveland. I adored my position at Positively Cleveland as it took my level of expertise from 0 to 100. It’s where I learned the true meaning of success and became greatly addicted to that incredible high. Visit my contact page to get the ball rolling.